Are you wondering the solution for your android phone rapidly getting Unfortunately Contacts Has Stopped error? Let’s here’s tricky ways to fix it. Why unfortunately app has stopped? You may have to get this error regularly while using your Android device. You will be most likely to face this mistake when you are about to receive a call or open the phone app, but this error may also appear anytime you are using or not be using your device. There could be different reasons that could have set off this error, but the most likely one is due to its Cache. 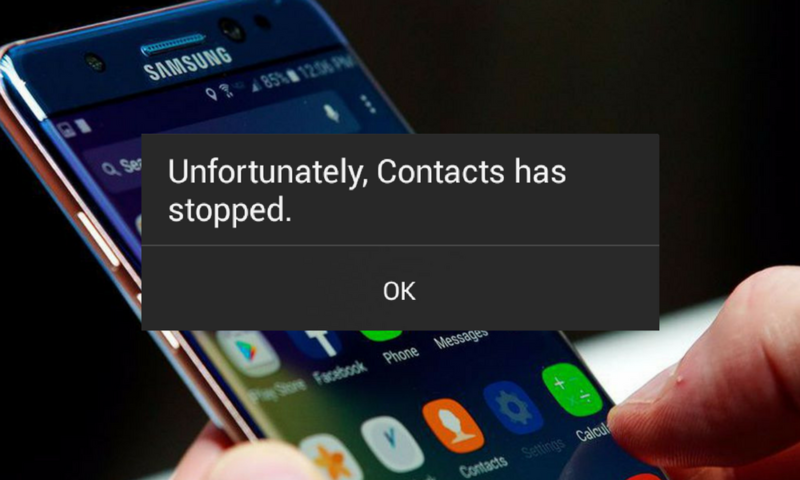 Steps to fix Unfortunately Contacts Has Stopped Error on Android. Step 1: Open the Settings on your Phone. Step 2: Now Go to the Application Manager or Applications or Apps depending on the model of your device. Step 3: Slide to or Select All tabs. Step 4: Next to Find and Tap on Contacts. Step 5: Now Tap on Clear Cache. Step 6: Tap on Clear Data (this will clear your call log). Step 7: Go back to Settings. Step 8: Go to Date and Time. Step 9: Change the format. There are simple ways that working well on your android smartphone and wish to fix out Unfortunately Contacts Has Stopped Error on Android, but if it doesn’t, then you may have to factory reset your device. Additional method: Another solution that may solve your error and also sometimes it’s reason behind that you face the problems, the error is prevent the Google Plus and Phone contacts Sync which is leading to the problem along with the stored Voicemails. And also to if Google+ came pre-installed then you have to uninstall the updates and disable auto update for the Play Store app. You can also disable the Google+ app entirely.